South Africa is one of the most diverse and beautiful countries in the world, its myriad landscapes easily explored by car on roads that are, by and large, excellent. There are plenty of unguided tour routes visitors can follow, particularly if you enjoy finding the little out of the way spots; the back roads; the out of the way gems. We share three great meanders; short enough to slow right down, long and busy enough to keep you entertained for a long weekend. 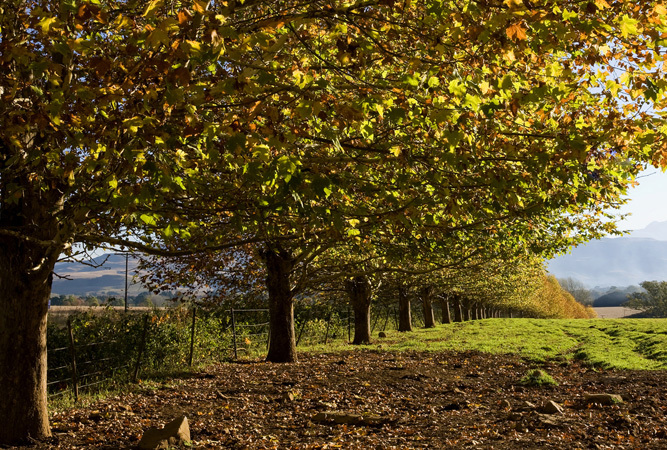 The Midlands Meander is one big art and crafts route with a some wonderful outdoor activities, adventure sports, food stops, and historic landmarks thrown in for good measure, roughly an hour’s drive from Durban. The route is not a long one but takes the form of a loop, with a few offshoots, between Pietermaritzburg and the uKhahlamba-Drakensberg World Heritage Site. You will need more than a couple of days to do it justice, and what you don’t spend on petrol you are likely to lose on a piece of pottery, or a vivid oil painting for the mantlepiece. Take the R103 off the N3 and follow the road between the towns of Hilton, Balgowan, Nottingham Road and Mooi River. You can download the official route(s) off the Midlands Meander website or pick up a copy of the map at any of the stops on the route. The network of mainly rural roads take one through forest, farmland and little villages, virtually parallel to the N3 most of the way. This is one route where you want to take the road less travelled and wander off the beaten track. There is a heady mix of old country inns, artists’ studios and galleries, farm stalls, eateries, cheeseries, delis, places to stay and shops – over 215 concerns vying for your attention. An arts and craft route in the Magaliesberg Mountains, though not yet quite the size of its ‘sister’ down in KwaZulu Natal, is nonetheless an inspired way to spend a couple of days. Visit over a hundred art galleries, arts and craft centres, boutique-style shops, attractions, nature reserves, farms, sanctuaries, valleys and forests. All this only a half hour’s drive from your accommodation in Sandton. A great deal of the magic of this meander is in the natural outdoor beauty of the Magliesberg, one of the oldest mountain ranges in the country. 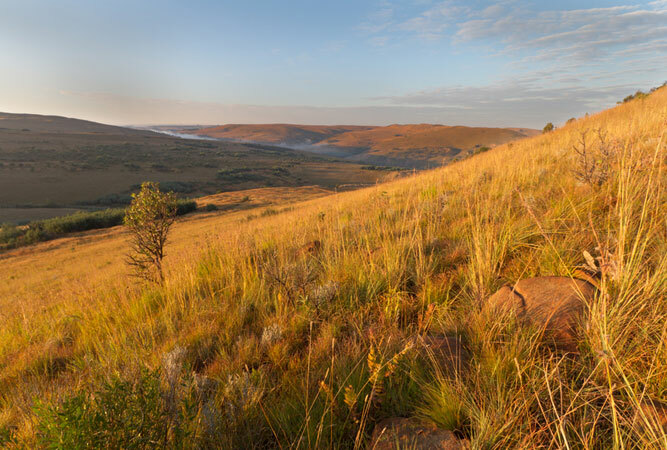 The landscape is wide and diverse and includes a myriad hikes and the Cradle of Humankind World Heritage Site. Expect to hike, go-kart, ride on horseback, glide in amongst the trees, mountain bike, microlight or birdwatch. You can download the map from the Magalies Meander website, but roughly, the area encircles Hartbeespoort Dam to the east, the Cradle of Humankind to the south west, Olifantsnek Dam to the west and the Buffelspoort Valley Conservancy in the north. The bulk of the attractions lie along the Magalies River and within the little village of Magaliesburg along, and off, the R560. 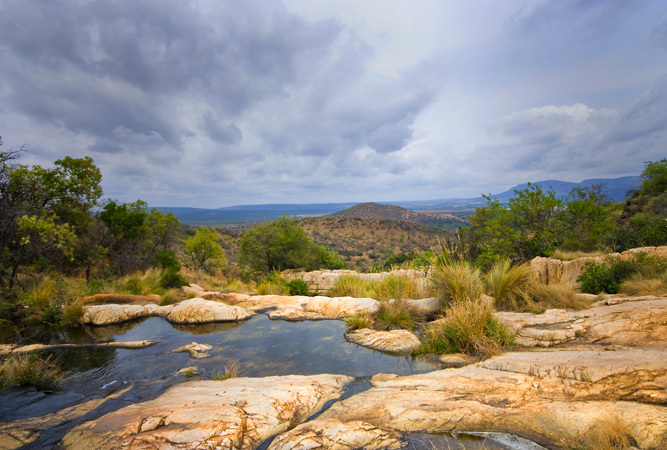 But the R24 west towards Olifantsnek Dam offers numerous little tributaries that will take you to some woderful natural spots for picnics or fishing, whilst east in and around Hartbeespoort dam are still further attractions. 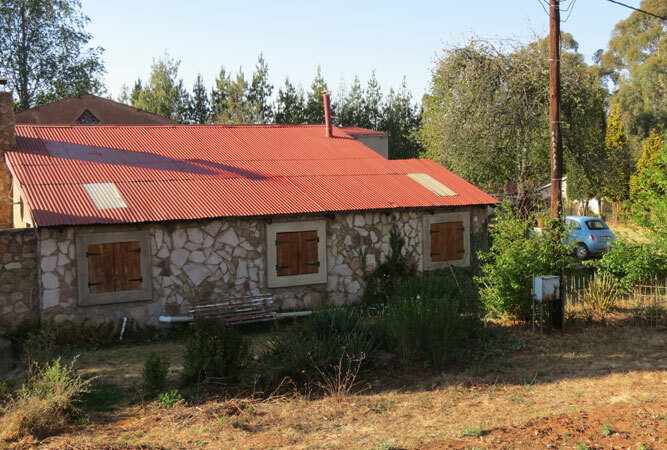 Incorporating the quaint towns of Belfast, Dullstroom, Lydenburg, Machadodorp and Waterval Boven, the Highlands Meander encompasses a small portion of north eastern Mpumalanga, with some of the most beautiful scenery and access to some of the best hiking, rock climbing and flyfishing in the country. Its myriad restaurants, pubs, arts and crafts community and accommodation in Mpumalanga add to the flavour. It’s become known as the ‘adventure addicts’ meander, set in amongst the mountains, rivers and incredible kloofs of Mpumalanga, the dramatic setting alone worth the three hour trip from Gauteng. Follow the R540 up to Lydenberg, through the Elands Valley, Kwena Basin and the Skurweberg Pass (part of the Drakensberg mountain range), and then take the R36 back down again. Don’t miss out on Anvil Ale House in Dullstroom for artisinal beer, take the Long Tom Pass for striking scenery, Belfast’s flower farm during spring, the Elands Valley Conservancy for its red, sandstone cliffs and include Waterval-Onder (right next door to Waterval-Boven). We are heading to the Midlands for this long weekend – cant wait for my own meandering!